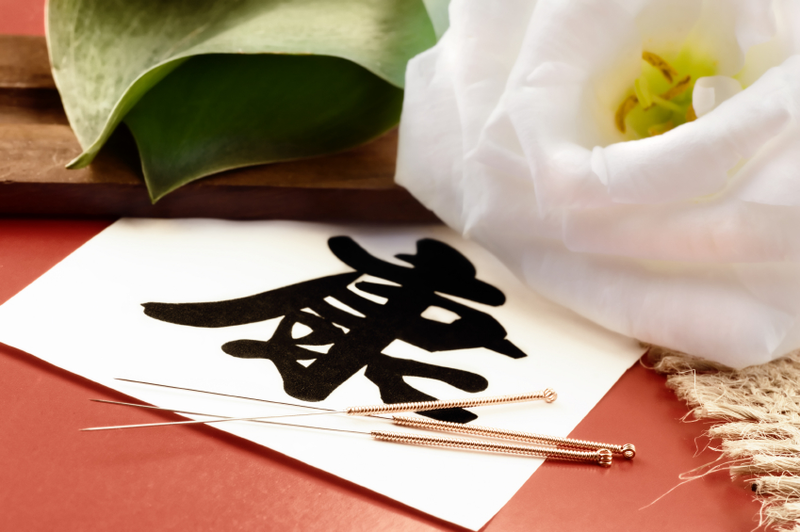 This section is designed to illustrate the scope and effectiveness of acupuncture therapy practiced by Brad Hill. We offer a collection of success stories organized by category. You may read all testimonials by selecting the “All Testimonials” category or read the testimonials by selecting their respective categories. Remember, because every patient is unique, individual outcomes may vary and these testimonials should not be read as a guarantee. Acupuncture from Brad Hill cured my irrational fear of the power of water. Since buying a boat 4 years ago, I have not been able to enjoy it, until this summer. It used to be that every time I got onto the boat, I knew that my 2 children, my husband, and I were going to die, and no one could convince me otherwise. I'm a very cerebral person; I can almost always reason myself out of (and into) anything. This unreasonable terror got worse every summer, until I just stopped going with my family on the boat. This was unacceptable to me... we live on the coast of Maine, for crying out loud! I finally accepted that I needed someone else's help with overcoming this debilitating emotion. I first tried 10 months (boating off-season) of polarity therapy and had only positive expectations that following summer. The first day out, on semi-choppy water, I totally panicked. I was so angry with myself for failing at this. This experience proved to me, without a doubt, that my issue was not a matter of "mind over matter;" I had started the season with 100% confidence that polarity therapy had erased my terror. My failure was shocking to me. I then tried 10 months of acupuncture from Brad Hill the following off-season, because it couldn't hurt. And when I stepped onto our boat this summer, I was NOT filled with confidence. Why should I trust acupuncture, after I trusted polarity therapy, and had no success? But I had to get on the boat, because we had guests. It was a particularly choppy day. I assumed my position: shotgun, white-knuckling the dashboard, and holding my breath. I refrained from donning my lifejacket, which I usually do, so I wouldn't scare our guests. After about 2 minutes, I realized I wasn't holding my breath, and that I wasn't feeling like we were all going to die, as I was completely prepared to feel. I found this very curious. I thought about the situation. I looked around, a bit surprised. I let go of the dashboard. I did not panic. I took a really deep breath (usually totally impossible for me on the boat), and still did not panic. We bounced to our destination, and I was ecstatic! Curiosity was the reason I first decided to try acupuncture and it was results that kept me coming back for over two years. I am an Osteopathic Physician who appreciates the concept of mind, body and spirit medicine. The results that have occurred give me a great trust in Brad and his application of the therapy. I have experienced resolution of many middle-aged male aches and pains and no longer need to use Advil on a daily basis. Most importantly, I am a calmer person and don't feel like I am going to die anymore. I have a professionally stressful life and during the past five years I have seen my marriage dissolving. The despair I felt was as if I was dying. After a few months of treatment with brad, I regained my balance of mind-body-spirit and the feelings dissipated. I am now receiving maintenance therapy and life is much richer. - Dr. J.R. I'm not exaggerating when I say that Brad gave me my life back. When I came to Brad in Jan 2003, I was in desperate straits. My intense food allergies and the resulting intestinal and abdominal issues were devastating my life. I had had many conventional western tests (colonoscopy, endoscopy, RAST bloodwork allergy testing), had tried elimination diets, rotation diets and various supplements, and nothing seemed to work. I could only eat about ten foods without being completely incapacitated, I was spending hours in the bathroom, had lost a lot of weight, and felt half dead. My health concerns were affecting my quality of life, and I couldn't enjoy even the simple pleasures of life. I was exhausted and cranky and depressed and without hope. I turned to acupuncture because I had nothing left to lose. Brad was attentive and thorough during the initial exam. Within three treatments, I noticed an easing in my symptoms; within five treatments, I was able to eat a few things that I hadn't been able to eat in a long time. It was so wonderful that I would call up family members weekly and announce what I was able to eat again! I was astounded at the change, as were they. My Dad, who is a physician, was deeply skeptical at first, but the results of acupuncture treatment were undeniable. I could eat!!!! Brad's magic, as I began to call it, was in more than the needles. Brad raised some very basic and profound questions about my life and the choices I was making. It wasn't the food that was killing me; it was my body's reaction to it, and in a larger sense, my reaction to life. The doctors that I had seen, while competent, had never asked me to think about larger issues of my way of being in the world. For example, I was changing careers and I hated the direction I was going in. Brad helped me see new possibilities. Our talks opened up the way to a path that balances me, my family and my career in a much more fulfilling and peaceful way. The "magic," it turns out, is the combination of the Brad's needles, Brad's presence and my willingness to open up to new possibilities and consider new ways of being in the world.